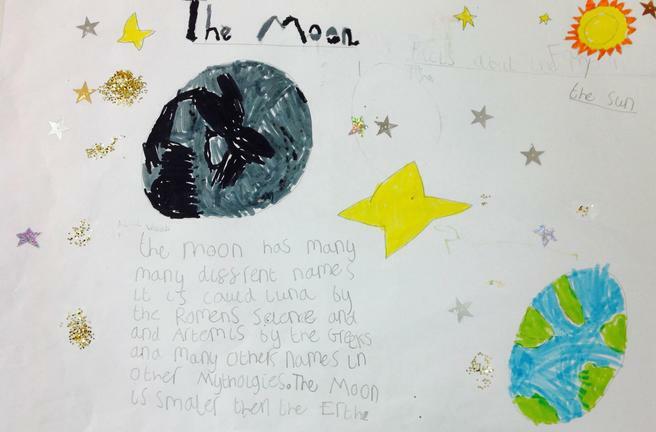 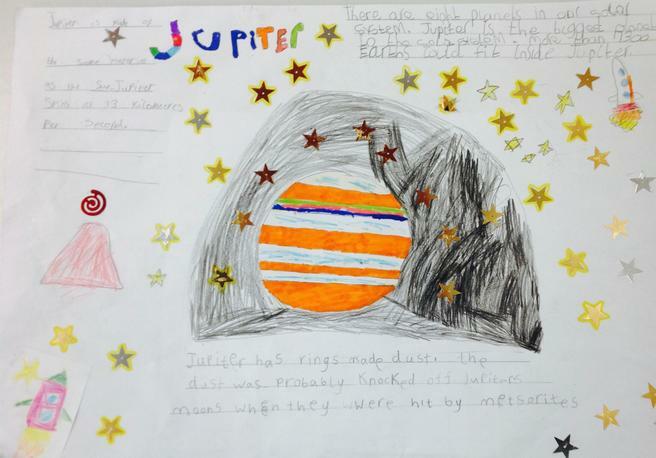 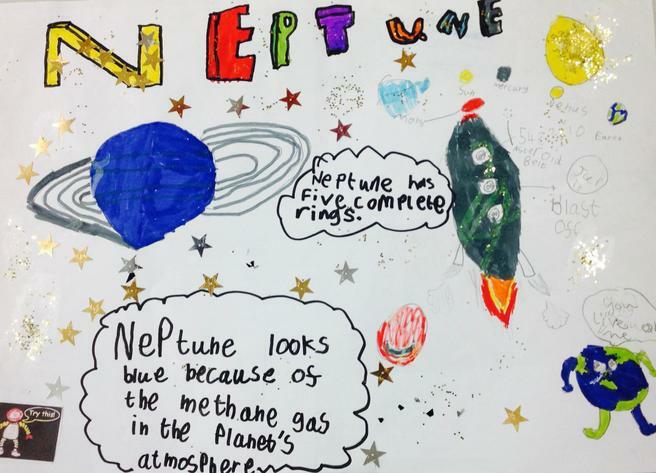 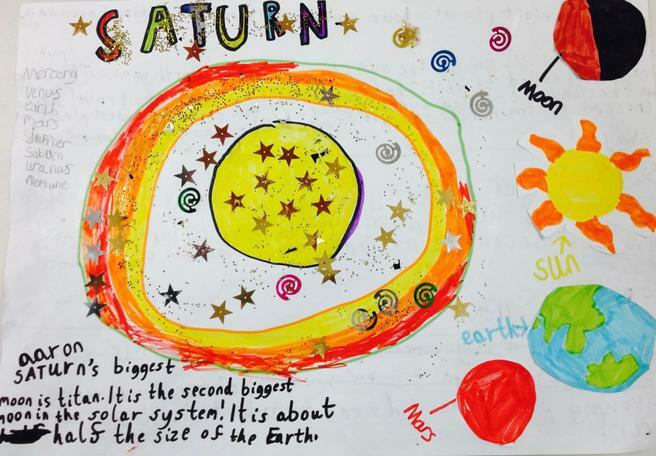 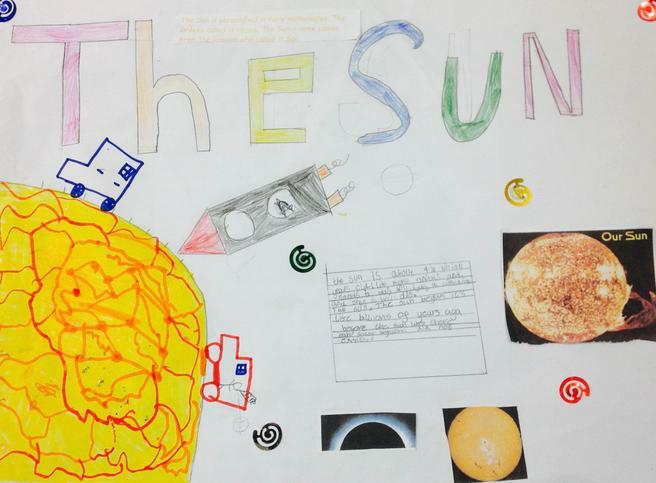 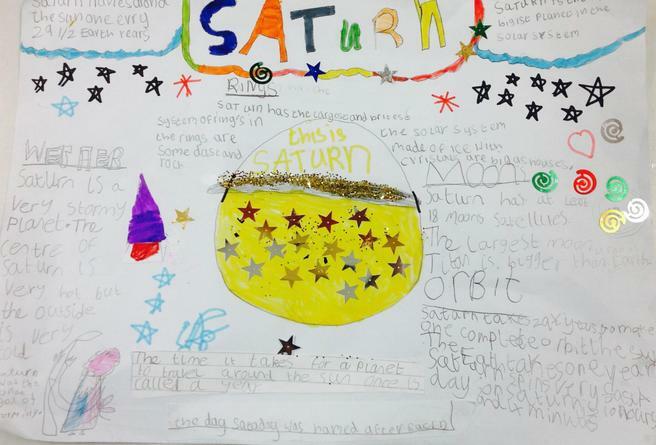 In English, pupils worked in teams of three to research either a planet, the sun or the moon and came up with a plan of what they would include in their poster. 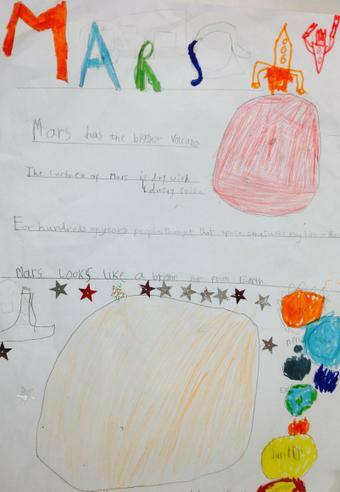 They used primary and secondary resources for their research. 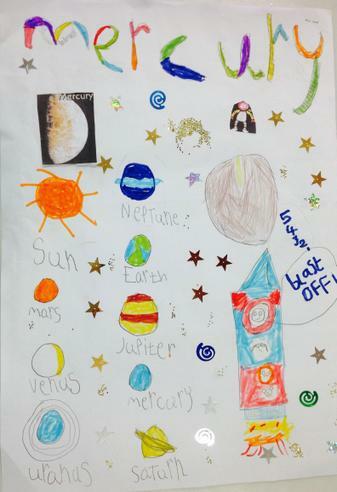 They then designed their poster and presented this to their class. 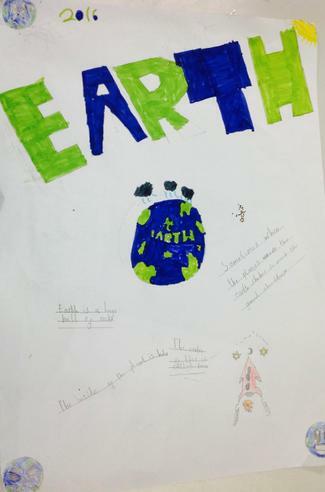 Some examples of posters are displayed below.